Android: Mainframe is a fast-paced strategy game set in the not-too-distant future of the Android universe! 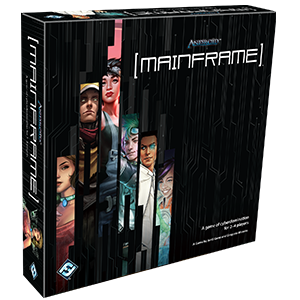 In Android: Mainframe, you and up to three opponents become elite cybercriminals known as runners. At the beginning of the game, you mark your arrival by the placement of your first access point. Then, each turn, you get to take a single action: you can establish another access point, execute a program, or pass. Your goal is to use the programs at your disposal to secure your access points so that they control as many of Titan's vulnerable accounts as possible.